Legal Quiz: Can I File A Personal Injury Lawsuit? Question: Have you been injured in a vehicle accident by a negligent, drunk, or drugged driver? If you’re looking for a personal injury attorney after a drunk driving or marijuana car accident, then you may have legal recourse. Since most Americans don’t have the legal expertise to know how to put in a legal claim after an injury, hiring a personal injury law firm is usually the first step. Of course, every case is unique. Collect as much information from you insurance company and healthcare providers as possible before reaching out to a lawyer. Note: Although most people are aware of drunk and drugged driving laws, anyone injured by a marijuana boat accident or motorcycle accident can often file personal injury lawsuits, too. Question: Are most personal injury lawsuits successful? 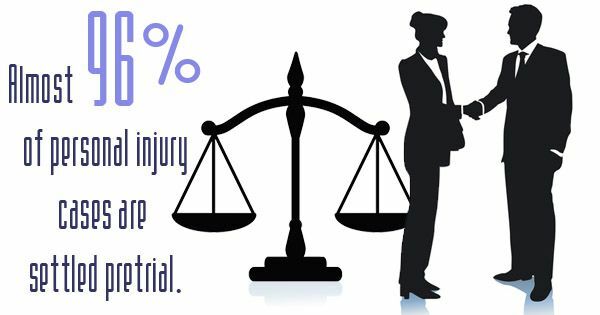 Answer: Yes, in fact, almost 96% of personal injury cases are settled pretrial. That means most people and corporations will avoid a costly, drawn out legal case by making an agreement out of court. For personal injury claims that do go to court, here are some fast facts: The median damages awarded for medical malpractice suits are $600,000, the highest of all types of personal injury lawsuits. Product liability suits have median damages of $300,000. In addition to the 26 newborns who die crib-related deaths each year, the number of children injured by their toys has been rising for decades. Experts say that more than 220,000 kids are injured on average by their toys a year. Question: What are other common causes of personal injury settlements? Answer: in addition to vehicle accidents, medical malpractice, and product liability, many workers file personal injury lawsuits or workers compensation claims after an accident in the workplace. Slips and falls cause the vast majority of industry accident injuries, leading to 15% of accidental deaths. Inside and outside the workplace, dangerous flooring materials directly cause more than 2 million injuries a year, according to the Consumer Product Safety Commission. When a dangerous product causes damage to a large number of consumers simultaneously, law firms will sometimes organize class action law suits representing many people at once. However, many people also file personal injury suits following an accident or injury. There are many different types of accidents, but in total, injuries, medical costs, and lost wages cost the U.S. an estimated $270 billion last year.